Rainbow Ag is pleased to provide organic feeds from the following companies. The new Purina® organic chicken feeds have no GMOs, animal by-products, artificial preservatives, or growth hormones. Feed your flock the best, from Purina®. 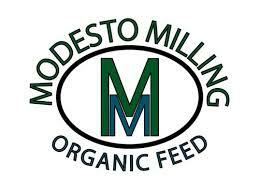 Modesto Milling has taken organic feed production seriously, since long before it was fashionable. We gained our first organic certification from Oregon Tilth of Corvallis, Oregon in January 1998, becoming the first organic grain processor in Central California. Ninety-nine percent of the ingredients we use are organic or naturally mined products. Bar ALE is committed to agriculture by providing the highest quality livestock feeds and service to our customers. Our commitment to customer satisfaction has led us to manufacture a line of high-quality Certified Organic and Non-GMO feeds.